Pablo Robledo (left) and Hans Pessl in Argentina. One of the beautiful parts of ski racing is how we accumulate new friends and relationships wherever we travel. It broadens our experiences and our families. 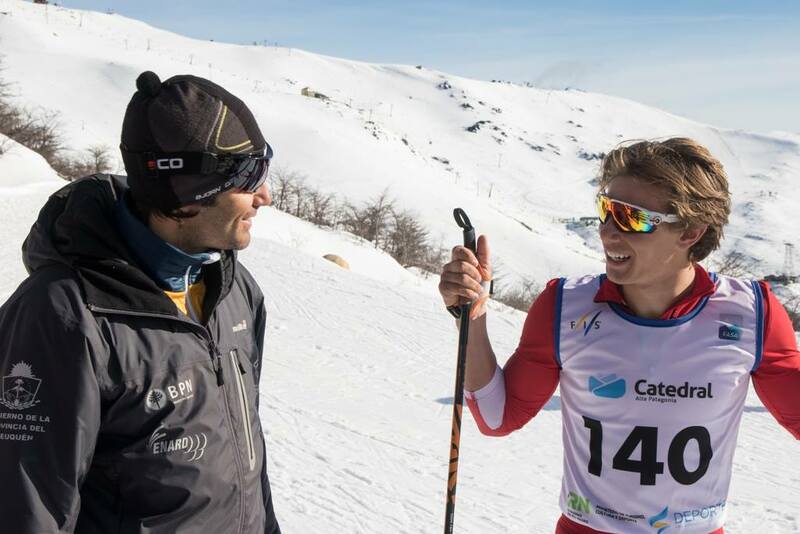 So when BSF alum Hans Pessl continued BSF’s relationship with Argentina and spent part of his fall coaching there, we were especially proud to hear that he wanted to arrange a donation of ski equipment to send to Argentina. Skiers with the Bridger Ski Foundation and Club Andino Bariloche in Patagonia, Argentina, have been going between Bariloche and Bozeman since 2012, training during the southern hemisphere's winter and Bozeman’s winter. Nordic skier Pablo Robledo came to Bozeman in 2013-14 to train with BSF during the season; he then competed in the 2014 Sochi Paralympics. 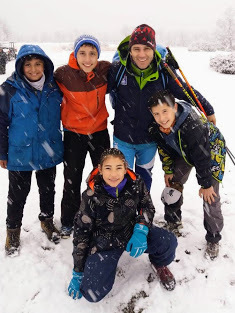 Today, Pablo is the club director of a fledgling youth Nordic ski program in San Martin de los Andes, a city of 30,000 in northern Patagonia. Pablo at Bohart Ranch (now Crosscut) in Bozeman, Montana. Pablo and Hans at the San Martin de los Andes ski center. While San Martin de los Andes has a new Nordic ski center where the team will train, ski equipment is proving to be the biggest challenge for their young skiers. Import restrictions make equipment twice as expensive as it is here in the U.S., and the country is also experiencing an economic crisis as the value of their peso has plunged against the U.S. dollar. Kids in the Nordic program pose with Pablo. So Hans and his family decided to organize a donation drive this fall among the BSF Nordic community to collect equipment for the San Martin de los Andes Nordic program. A variety of families donated approximately 50 items, ranging from skis, to training jackets, race suits, bindings, and other items. Pablo will make the trip to Bozeman this winter to bring the equipment back to the club for use next season. Thanks to everyone who helped out and to our BSF community for fostering this kind of ski culture. It’s a wonderful thing to see our skiers grow up and pass on the love of skiing to the next generation—be it in their hometown or halfway across the world.